What cost more than $120 million to construct, created a furor when it was proposed, and was in operation for less than a decade? It’s the abandoned top-secret PAVE PAWS site that sits on the side of U.S. Highway 277. It's roughly 35 miles south of San Angelo in Schleicher County, at what was then dubbed the Eldorado Air Force Station. This Cold War-era installation was designed to watch the skies 3,000 miles to the south for land- or sea-launched ballistic missiles. Now the radar site’s shell sits mothballed by the Armed Forces, still on the books in case it can be useful in the future. What was PAVE PAWS all about? The idea for a Precision Acquisition Vehicle Entry (P)hased-(A)rray radar (W)arning (S)ystem was proposed in the mid-1970s, as the international arms race neared its peak. 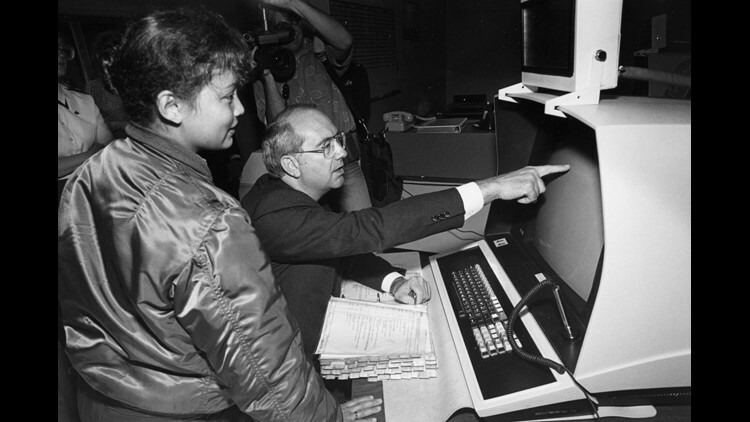 The initial working designs called for several thousand individual radar beams working together to collectively scan above the horizon for activity, theoretically allowing NORAD extra time to scramble bombers in response to attacks. 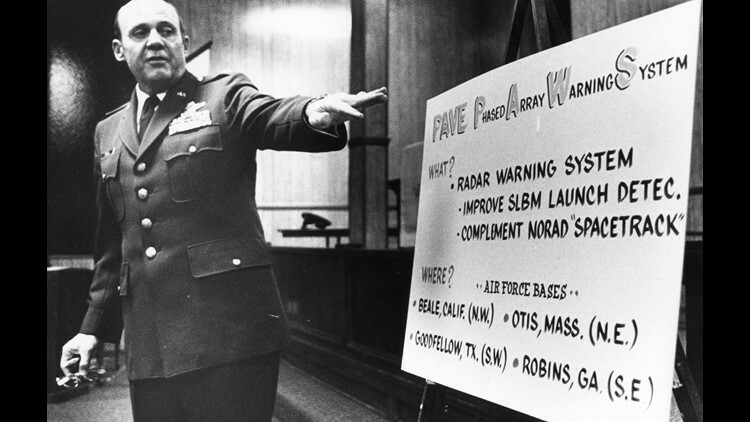 According to historical records, the Strategic Air Command issued a request for proposals to industry leaders in June 1975 for the PAVE PAWS system, which became part of the U.S. Space Command's Missile Warning and Space Control Centers at Cheyenne Mountain Air Force Base near Colorado Springs. The Air Force determined the best result would come from four PAVE PAWS systems, located at Cape Cod AFB in the northeast, Robbins AFB in central Georgia, Beale AFB in California, and a fourth site somewhere in the general vicinity of Goodfellow AFB in San Angelo. News the Air Force wanted to build the installation in this area was initially received with great enthusiasm, because Goodfellow had been undergoing three years of intense scrutiny while the Air Force pondered which bases to keep open. The economic impact of the local Air Force base closing had been felt by Big Spring when Webb AFB was closed in 1977, and San Angelo had rallied around Goodfellow, which eventually saw its role as an intelligence training center grow. The PAVE PAWS site nearby, which would be inside Goodfellow’s administrative sphere, was seen as a positive step to cement the base’s importance and hopefully keep it off the Base Realignment and Closure (BRAC) list for good. Initially, the Pentagon wanted to locate the PAVE PAWS installation on Mount Susan, inside Christoval’s Pugh Park, but the idea met with so much resistance, officials had to scramble to find other suitable locations near Goodfellow. Residents quickly banded together and hosted meetings in local churches to discuss their fears, like what hazards would be posed by radiation from the site, and whether the San Angelo area would be more likely to suffer a direct enemy hit since the radar system would be a high-value target. After Mount Susan was ruled out, there followed several months of consulting between area ranch owners and government officials. A site on the Blaylock Ranch was chosen in August 1983, and ground was broken for the project Oct. 30, 1984. 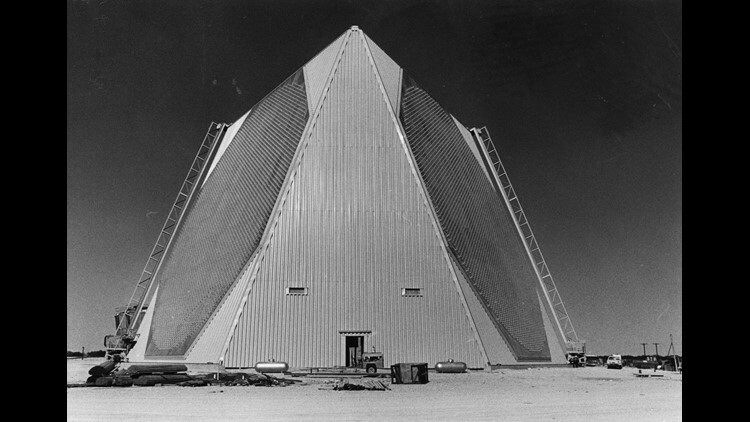 The complex itself carried a fairly low price tag, with most of the money expended on the project going toward the Raytheon Corporation-built AN/FPS-115 radar system, which was ready for normal operations by the end of January 1987, according to news accounts. The site would be staffed by about 108 members of the 8th Missile Warning Squadron, working with roughly 125 Raytheon Services Corp. employees tasked with keeping the sensitive equipment in good working order, reports noted. Additionally, about 35 Department of Defense civilian personnel would work at the site as security guards, firefighters, secretaries and computer analysts. The site was fully operational for a couple of years before the Berlin Wall came down Nov. 9, 1989. By Dec. 25, 1991, as the red hammer-and-sickle flag of the Soviet Union was lowered for the last time, the PAVE PAWS site was operating on greatly reduced staff levels. It was officially closed by 1995, and many of the components of the radar system were moved to Clear AFB in Alaska in 1998.